I found this caterpillar in my garden. Based on its bright colors, I decided not to pick it up. Why would it be so brightly colored? To help it hide in flowers. No. Its pattern of colors would not blend in with a flower. Yes! Many brightly colored animals are toxic or dangerous. They use their bright colors to warn potential predators that they taste bad, sting, or have some other characteristic that a predator would want to avoid. This is the caterpillar of a Hooded Owlet Moth. They eat the wild asters in our area, which gives them a very bitter taste that birds don't like. No. Caterpillars do not mate. They must go through metamorphosis into a butterfly or moth before they can mate. To help it find food. No. 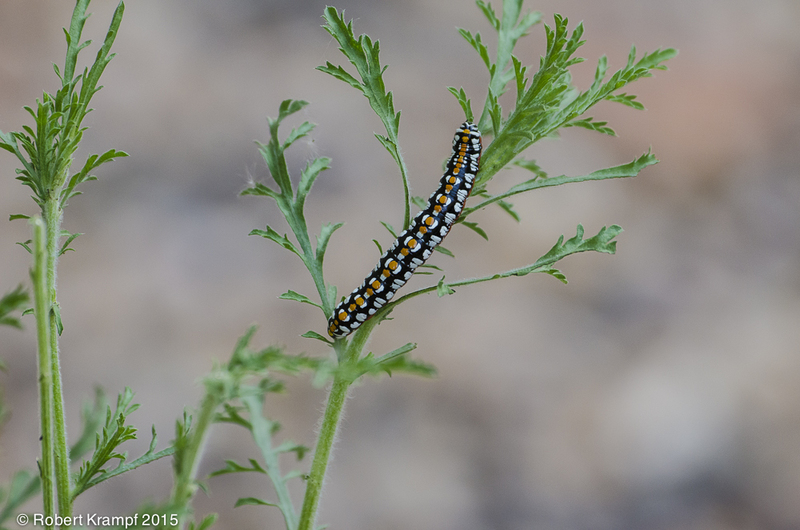 Most caterpillars eat plants, and bright colors would not help with that..